The easiest way to add drama and excitement to your landscape! 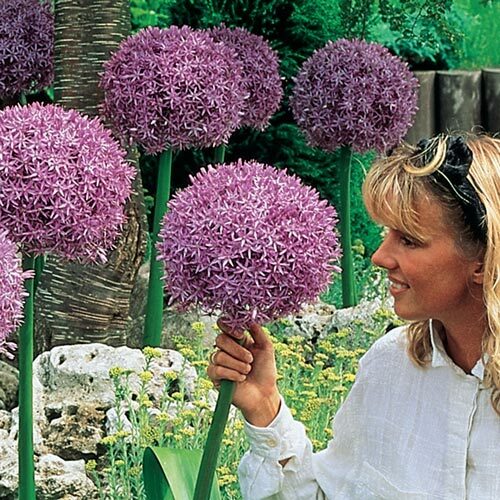 These gigantic lilac-pink flowers reach a full 25 cm in diameter and last up to three weeks. So eye-catching—passersby will stop to admire. Unlike most tall alliums, this variety produces glossy, deep green foliage even after the flowers are gone. Imagine a glorious border or bed of them—they love full or partial sun. Outstanding for freshly cut and dried bouquets, too.